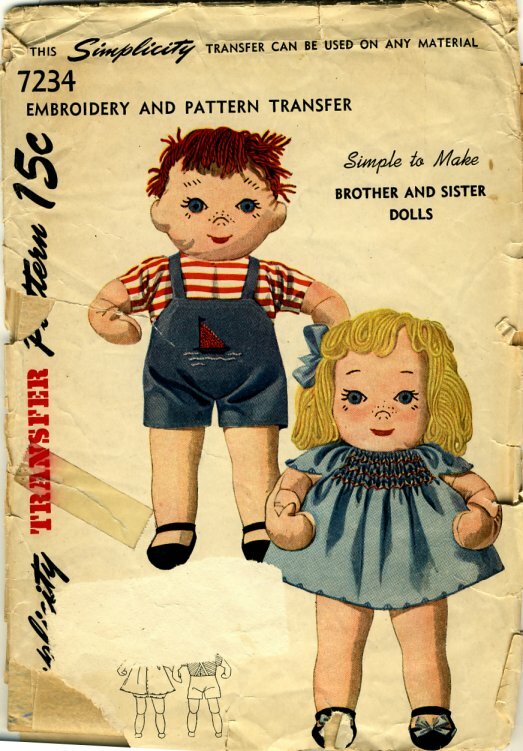 Simplicity 7234 makes a pair of 16" dolls with embroidered features and yarn hair. 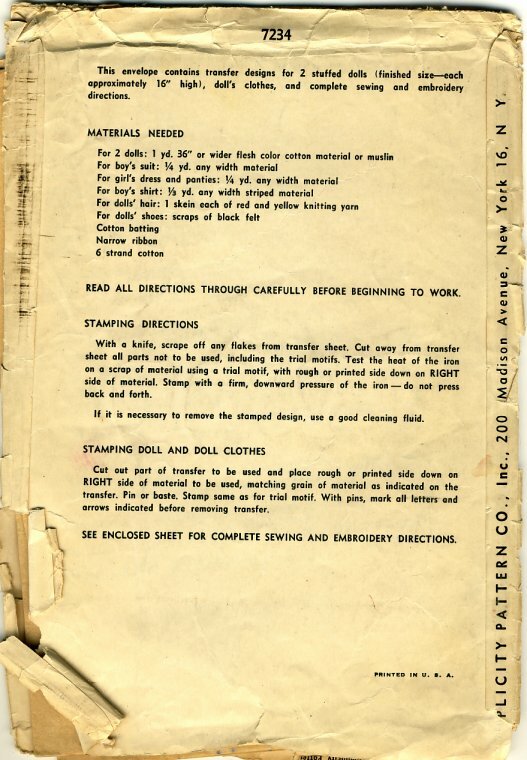 There is no date on the pattern but according to "Stuffed Dolls and Toys, Book 1" by Loraine Burdick, it dates from 1951. This is a transfer pattern. The dolls and their clothing are transfers to be ironed on to the fabric, then cut, sewn and embroidered on the transferred lines. The dolls are what I would call a modified pancake style. There are only two pieces to each doll - one front and one back - but darts at the neck, shoulders, elbows, wrists, hips, knees and ankles give the doll some shape. Their curved arms make them very huggable. They have cute faces with pug noses and freckles. The clothing is very simple, but the embroidered sailboat on his overalls, and the smocking on her dress, give it some interest.